BlogHome » Blog » So, graduation! A Translator? And then, what? Luciana’s story! So, graduation! A Translator? And then, what? Luciana’s story! Born before the Internet boom, I had always imagined myself translating at a desk with a typewriter and lots of dictionaries and books… Looking back now I can say that my dreams have come true, but in a quite different way. I’ve got my translation degree in 2002, at the end of the worst Argentine crisis I can remember. Given the difficult economic situation in my country and as I didn’t know that I could work remotely, I got a job at a store and, with my first salary, I bought my computer. Although this job took most of my time, I never abandoned the idea of working as a translator. I managed to attend translation congresses and establish relationships with colleagues and former class companions. Also I did some translations for local clients and became a member of the Board of Professional Translators of Santa Fe. One day, I met a colleague who was happily working as a freelance translator, and she encouraged me to start contacting translation agencies. Fortunately, it didn’t took me long to get my first translations. For some time, I continued working at the store until I decided that I was ready to become a full-time freelancer, a decision that changed my life forever. At the beginning, I was utterly happy because I was working on many translation projects. However, my happiness didn’t last long. I started to feel tired because I worked from Monday to Monday, 13-16 hours a day. My life was about translations, crazy deadlines, computers and CAT tools. Since this wasn’t the life I wanted for me, I had to learn how to manage my time and to delegate tasks. I was already working with Fernando D. Walker, my partner, so we shared some ideas to overcome this situation. In 2007, we set up Iwóka translation Studio, a small translation studio that offers translation services from English into Spanish mainly to the Renewable Energy, Sustainability and Naturopathic Medicine sectors. Needless to say, this was a turning point in our careers because not only did it allow us to get bigger translation projects but also it gave us the opportunity to combine our passion for translation with our love for Nature. Another event that I will never forget in my career life was a meeting we attended in Buenos Aires. There we met other translators and interpreters, who shared with us their vision about the profession and the international translation market. And in 2009, Aurora Humarán invited us, among other colleagues, to found the International Association of Professional Translators and Interpreters (IAPTI), an organization that promotes ethical practices in the field of Linguistic Translation and Interpretation. Currently I am a Member of that organization’s Membership Liaison Committee and Logistics Committee, and volunteer as the editor of the organization newsletter, The IAPTimes. Lastly, I want to thank Konstantina for having invited me to share my story with you. I really hope you enjoy it! 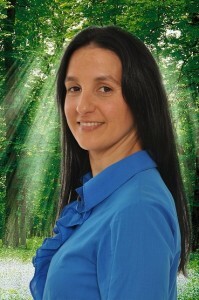 Luciana E. Lovatto uses her passion for communication, her will and her commitment to her work to lend support to people who do business in harmony with nature, helping them get their green ideas across in an effective and culturally sensitive way to Spanish-speaking communities everywhere. She tweets at @LucianaLovatto and co-writes a translation blog. It is always good to read a success story. I wish you all a successful translation career! Hi, Luciana. I came across this accidentally, and enjoyed it very much. We all have a story to tell, haven’t we? Thank you so much for your kind comment. I am glad you enjoyed the story. I think Konstantina offers a great opportunity for people to tell their story, since hardly ever we reflect on what we have accomplished/not accomplished in our lives. Είμαστε η φωνή που έρχεται από το πουθενά, οι ήρωες που κανένας δε βλέπει! Do Not Shoot the Interpreter! Konstantina Drakou on 5 Excuses Translation Agencies Use When They Do Not Assign Their Project To You! Fabienne Coupe on 5 Excuses Translation Agencies Use When They Do Not Assign Their Project To You! Konstantina Drakou on A Translator and A Certain Translation Agency: a love affair that went from sweet to sour! So, graduation! A Translator? And then, what? Herman’s story!